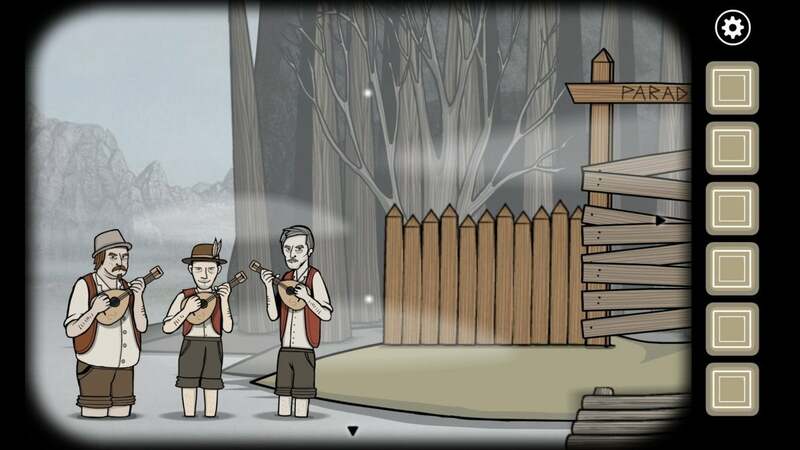 Rusty Lake Paradise is a puzzle game where the puzzles are the least puzzling aspect. 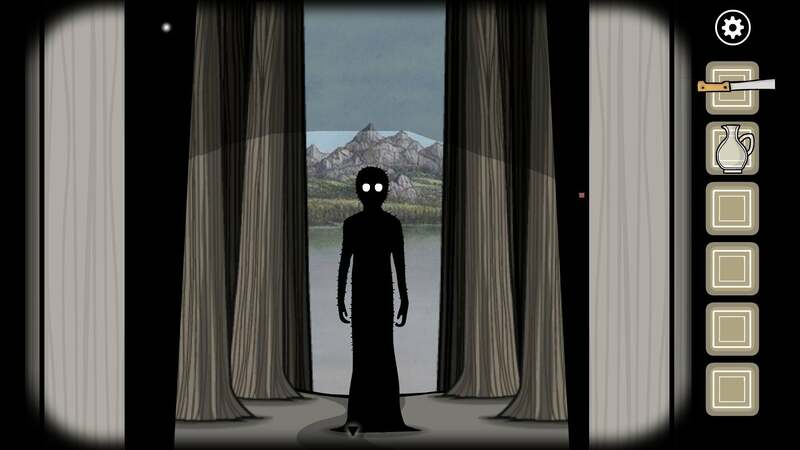 Three games into its run on Steam, following 2016’s Rusty Lake Hotel and Rusty Lake Roots double-feature, the Rusty Lake series has already built up an extensive layered mythos—one that’s even more convoluted when you add in the nine (shorter, free, and related) Cube Escape games from the same developer. It’s in pulling at those interwoven threads we find the real puzzle of Rusty Lake. Taken alone, each is a perfectly competent adventure game in the escape room mold. The rabbit hole is now a dozen games deep though, each a piece of a larger and far more unsettling story, spanning a hundred years of Victorian Gothic macabre. And Rusty Lake Paradise digs the hole even deeper. The setup this time: Jakob Eilander, eldest son, returns home after his mother’s death. “Home” in this case is the titular Paradise, a small and barely habitable island in the middle of a lake. Paradise is probably unpleasant at the best of times but the name is doubly ironic at the moment, as in the wake of Jakob’s mother’s death the island has been beset by the Biblical ten plagues of Egypt—frogs, flies, diseased livestock, and so on. These ten plagues serve as Paradise’s framework, each the same sort of puzzle-laden vignette that made up Hotel and Roots. It’s a grandiose undertaking for what started as a simple escape room series. This isn’t the first Rusty Lake game to dabble in Biblical allegory. Roots had references to Cain and Abel, for instance. But Paradise is probably the most overtly Biblical, an interesting addition when filtered through Rusty Lake’s surreal horror tendencies. Not that any of it makes sense, or at least not to me. If the “real puzzle” of Rusty Lake is figuring out that overarching narrative, I’m still a long ways off from a solution. If anything, I feel less certain what’s going on after every new iteration. It doesn’t feel random, though. That’s I guess what makes Rusty Lake stand out. It’s a unique tone piece, and like most tone pieces it’s often helpful to sit back and let it wash over you, to take in the imagery with an open mind. 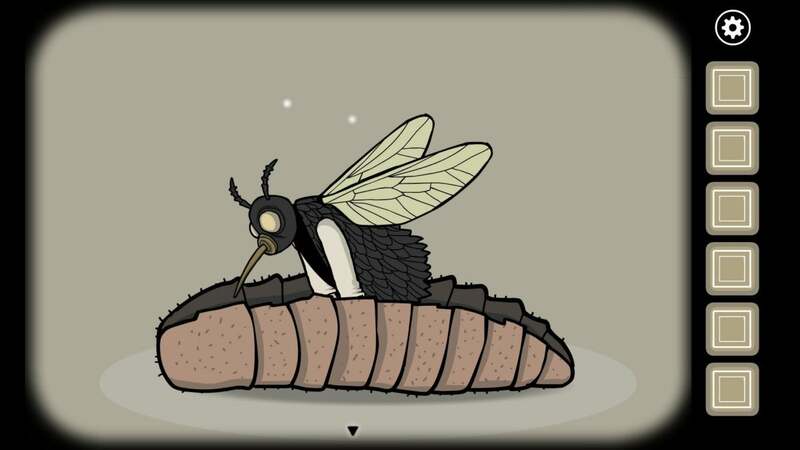 Your brother turns into a fly and you think “Wow, that’s weird/gross/creepy” and move on. And you can do that. Rusty Lake supports that. Or you can drill deep on the lore, turn it over in your mind, try to draw those connections. Surface level weirdness disguises a strict internal logic, a purposefulness that’s apparent whether one, three, or a dozen games in. The moments where you spot a veiled reference, where a mask or a throwaway line or a puzzle callback suddenly speaks volumes about a character—those moments are special because you realize there is an internal consistency underlying the gore and the absurdist humor. My only complaint is the puzzles Paradise pads out the action with. There are more than a few filler puzzles here, which is a shame in a game that’s only three or four hours long. 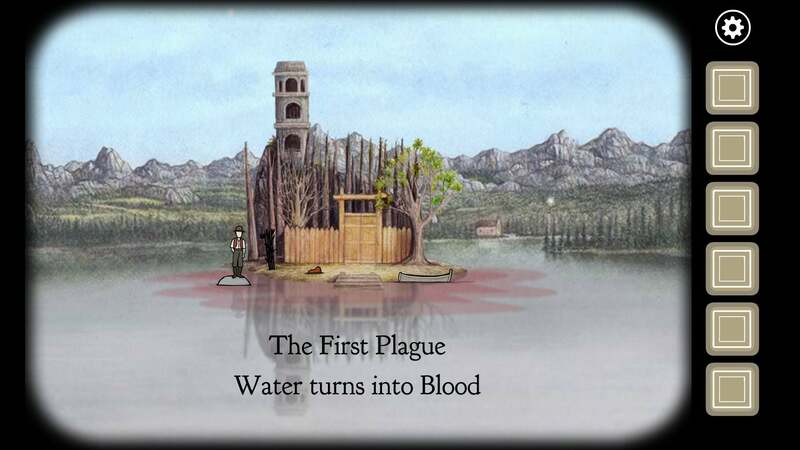 The best Rusty Lake puzzles are the ones that are tangentially tied to the plot or themes, and Paradise has a few—popping boils on an infected goat for instance, or an extended sequence involving astrological signs during the “Darkness” plague (number nine, for those counting). Those standout moments are surrounded by a few too many generic puzzles though, and while some at least feature an interesting twist (Picross using root vegetables) others are entirely forgettable. To be fair, Paradise isn’t the only Rusty Lake game to have this problem. Roots had that damn six-frog puzzle in it—“The puzzle game version of a standup comedian asking about airplane food,” as I wrote in our review. The problem is both more prevalent in Paradise and more noticeable though, in part because the first five or six plagues are a cakewalk. I feel like this was a conscious reaction to criticisms of the older Cube Escape games, and even Rusty Lake Hotel to an extent. Some of the puzzles there were nonsense, and I get the idea the developers decided to err on the side of approachability. But while there’s something to be said for a puzzle game that doesn’t nudge the player towards looking up solutions, one that’s too easy can screw up the pacing equally as much. If ever there were a series I wanted to stop and savor, it’s Rusty Lake, and yet in Paradise I found myself blitzing through the early hours of the game. I’m hoping the next Rusty Lake entry, whenever it appears, can strike a better balance. I'll say this though: At least they fixed the controls to an extent. Previous Rusty Lake games very much felt like mobile titles ported to PC. The situation's a lot better this time, with only a few finicky moments (mostly moving between screens) to detract from the overall more polished state of this release. Rusty Lake is as bizarre as it is brilliant, and while Paradise is probably my least favorite of the three paid entries, it’s still unique enough to earn a wholehearted recommendation from me. Very few games have vision. Even fewer studios manage to convey that vision, game after game. 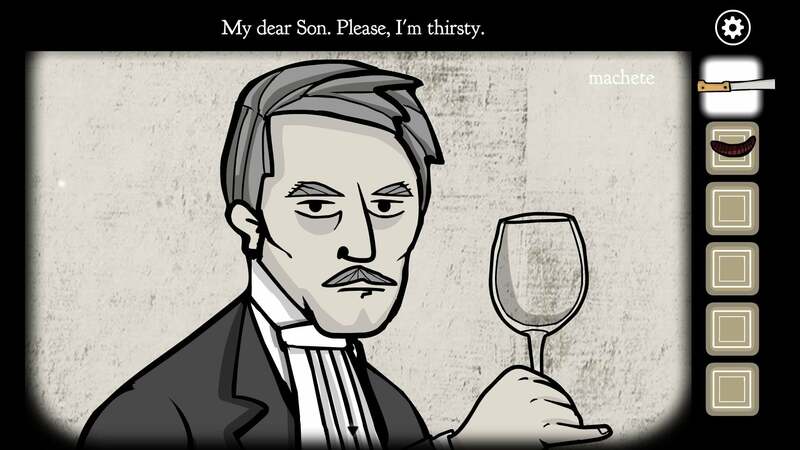 The Rusty Lake series has that quality though. They feel like games only this specific group of people could make. Surface level gore and overt weirdness aside, it’s this handcrafted (almost auteur-like) sensibility I find most interesting about Rusty Lake. Like the David Lynch films they emulate, they’re flawed but beautiful.